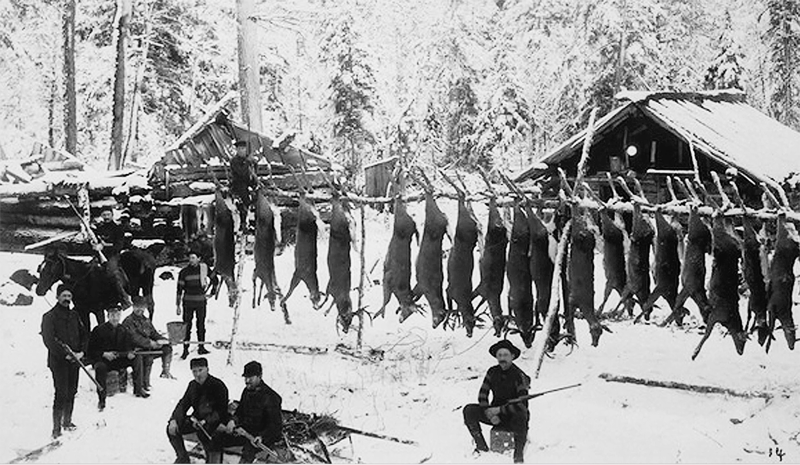 For nearly 400 years, European settlers harvested and market-hunted America's wild game as if their numbers were unlimited. But by 1900, some wildlife species had been reduced to a fraction of their original populations. 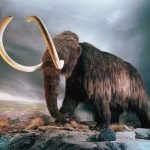 Many people don’t realize that… even using flint-tipped spears and arrows over the past 15,000 years, early Paleo hunters over-harvested many North American big game species to the point of extinction. If you were to see these giants still roaming our landscape you would be in awe. Imagine for a moment all of these giant species that were hunted to extinction by the first primitive hunters to reach North America. Most were hunted to extinction about 3000 years after the arrival of Paleo hunters in North America (11,000 to 12,000 years ago). Research has revealed a similar pattern on continents and islands around the world of many mega-fauna hunted to extinction within 2000 to 3000 years after the of the arrival of humans. North American horses – Ancient horses lived in North America from about 50 million to 11,000 years ago. Glyptodon weighed a ton and looked like a supersize version of its distant relative, the armadillo. 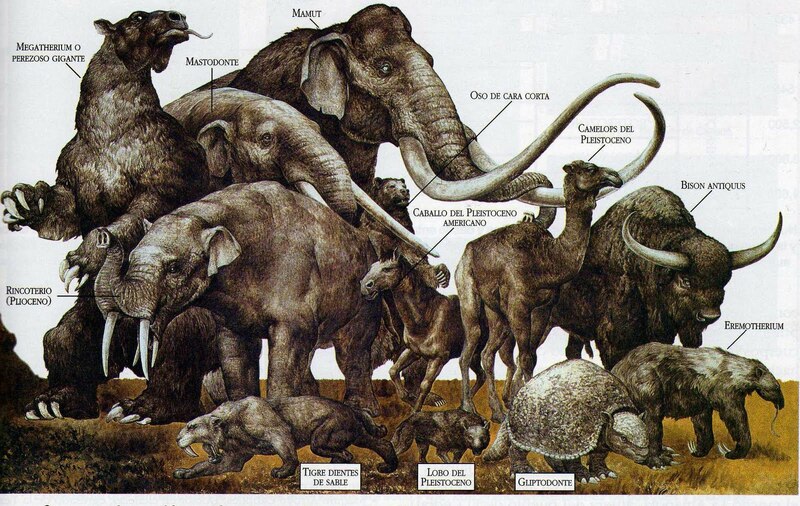 Mastodons standing 8 to 14 feet tall, entered North America about 15 million years ago. 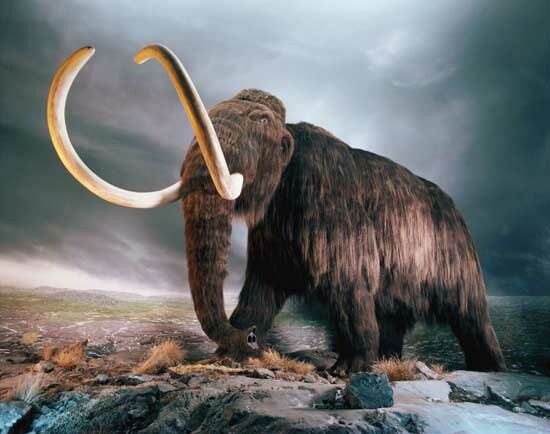 Mammoths (wooly) traveled to North America 1.7 million years ago and had a large hump of fat that helped them survive ice ages. Short-faced bears may have looked like a grizzly bears on stilts, as its limbs were at least one-third longer than those of a modern grizzly. Dire Wolves (Canis dirus) were about 25 percent heavier than modern gray wolves (Canis lupus), weighing between 130 and 150 lbs. The American Cheetah had a shoulder height of about 3 feet and a weighed about 160 lbs. The Giant Ground Sloth (Megalonyx jeffersonii) stood about 9.8 feet tall and weighed 2,200 lbs. It survived until 11,000 years ago. The Giant Beaver (Castoroides) was enormous for a beaver and weighed up to 125 lbs. Of course when European settlers arrived in America, there had no idea that so many species, that must have seemed endless to Paleo hunters, had been hunted to extinction. So they didn’t have either the history or foresight to imagine that shooting America’s wildlife could devastate their populations. 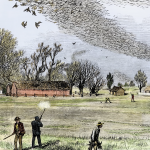 For instance the passenger pigeon once numbered 3 to 5 billion at their population peak and darkened the sky. It seems impossible that unregulated market hunting combined with human changes to the landscape could impact a wildlife population that size. Yet someone shot the last wild bird in 1901 and the sole survivor died in the Cincinnati Zoo in 1914. From billions to extinction in less than 100 years. 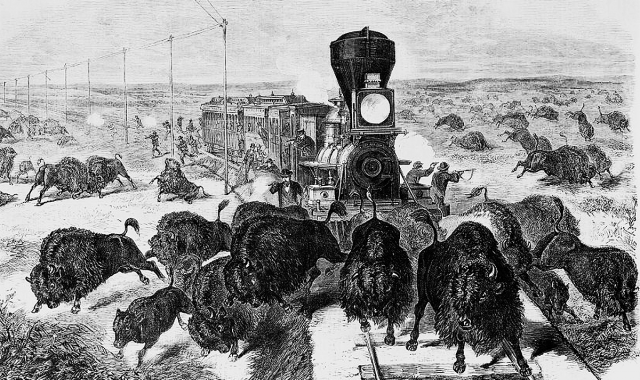 The American bison once blacken the American plains. When Lewis and Clack explored the west, an estimated 60 million bison roamed the plains and foothills. But the combination of market hunting and slaughter by the Army reduced the bison almost to the point of extinction by the late 1800’s. Fortunately, the movement to preserve and protect America’s wildlife, wild lands, and other natural resources occurred between 1890-1920. The conservation movement affected government policy that lead to landmark legislation that established Yellowstone National Park in 1872, Yosemite National Park in 1890, and the creation of the National Park Service in 1916. 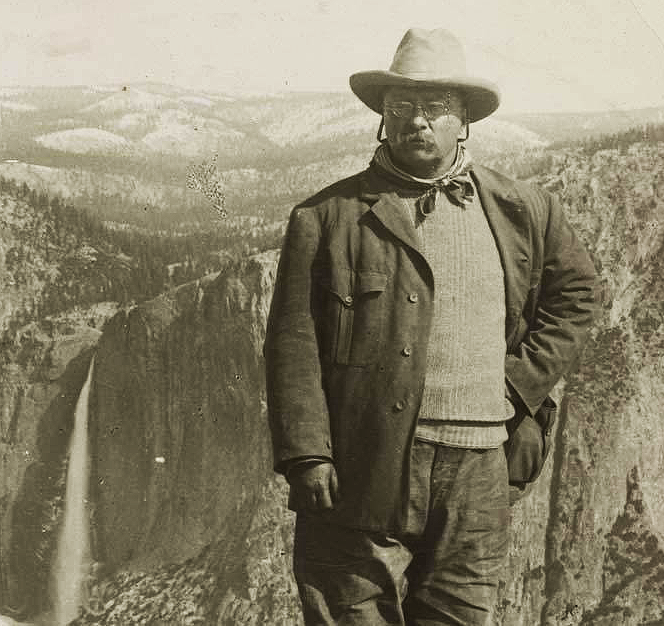 In 1901, conservationist, outdoorsman and sportsman Theodore Roosevelt became President of the United States. With other conservation voices such as John Muir and Gifford Pinchot, parks and wildlife refuges began being established across the nation. 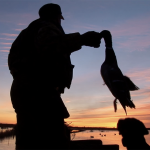 Today there are now over 560 National Wildlife refuges in the U.S. And perhaps more importantly, states across the nation began regulating hunting season and harvest numbers based on wildlife conservation science. 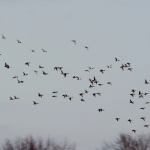 To discover how this conservation movement helped restore wildlife populations in America over the past 100 years, watch the video here and click on the “Learn More” button below. But if you really want to wade into the past and have your entire class share in the fun of learning to manage really “wild” wildlife species, have your teacher download the free lesson below on Managing Pleistocene Megafauna. 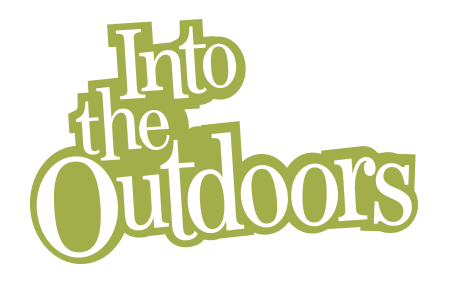 It’s a serious interesting peer-driven education and a highly interactive ice-age blast to the past. Once you’ve learned about the birth of conservation, you can expand your wildlife knowledge more by exploring Managing Black Bears and Managing White-tailed Deer. Conservation-minded hunters like Theodore Roosevelt and George Bird Grinnell began to energize fellow sportsmen about the need for wildlife conservation. 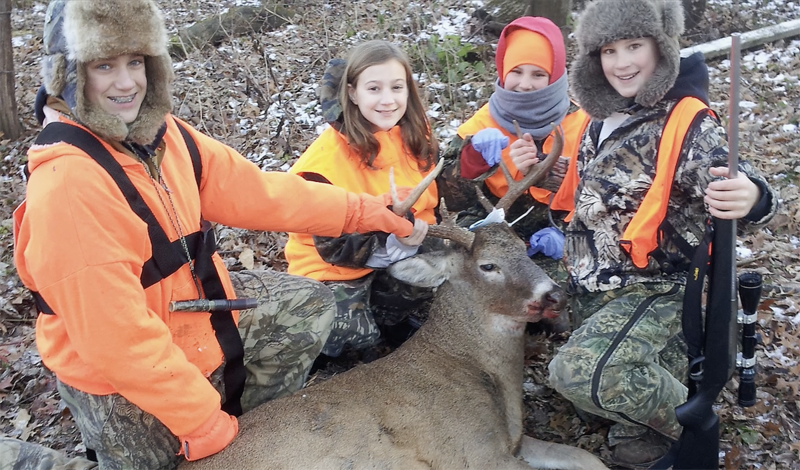 They pushed for hunting regulations plus established conservation groups to protect habitat. 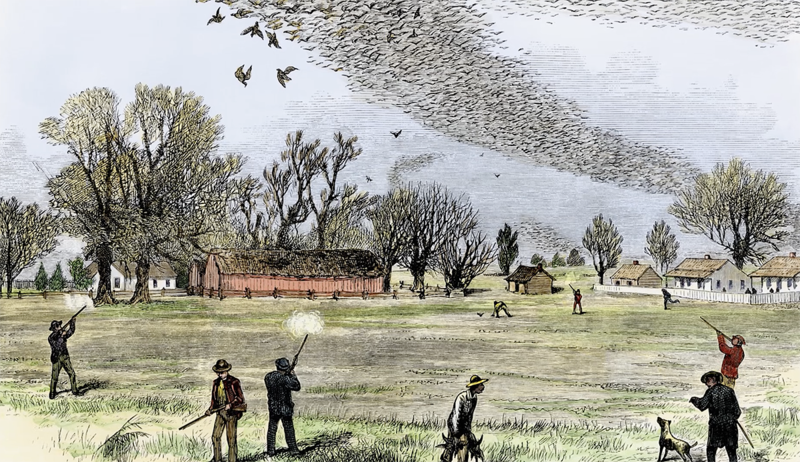 These early efforts helped establish the North American Wildlife Conservation Model. The model has two basic principles; 1) that our fish and wildlife belong to all Americans, 2) they need to be managed in a way that their populations will be sustained forever. The basic principles of the North American Wildlife Conservation Model are expanded into a set of guidelines known as the Seven Pillars for Conservation. Pillar #1 – Wildlife is Held in the Public Trust – In North America, natural resources and wildlife on public lands are managed by government agencies to ensure that current and future generations always have wildlife and wild places to enjoy. 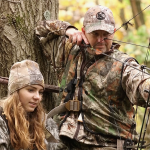 Pillar #2 – Prohibition on Commerce of Dead Wildlife – Commercial hunting and the sale of wildlife is prohibited to ensure the sustainability of wildlife populations. 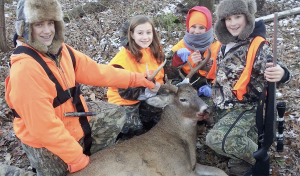 Pillar #3 – Democratic Rule of Law – Hunting and fishing laws are created through the public process where everyone has the opportunity and responsibility to develop systems of wildlife conservation and use. Pillar #4 – Hunting Opportunity for All – Every citizen has an opportunity, under the law, to hunt and fish in the United States and Canada. Pillar #5 – Non-Frivolous Use – In North America, individuals may legally kill certain wild animals under strict guidelines for food and fur, self-defense and property protection. 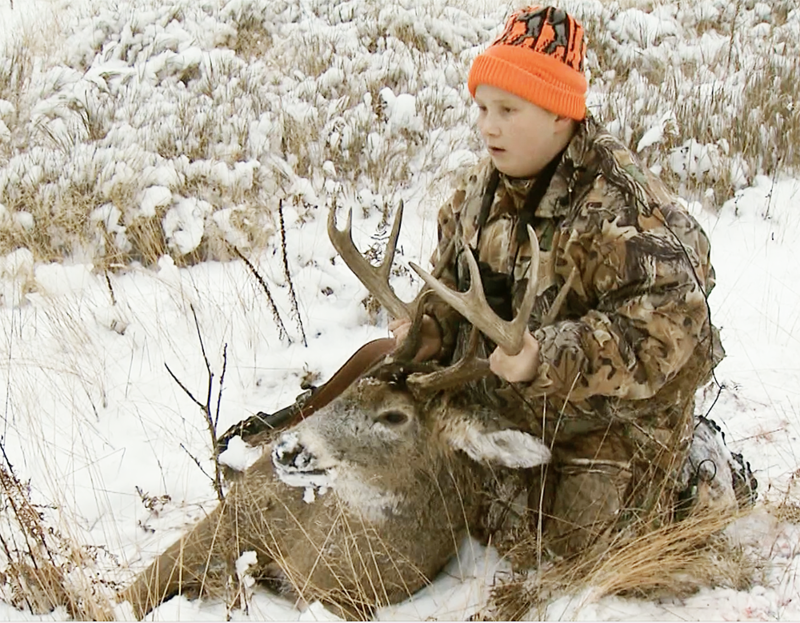 Laws restrict against the casual killing of wildlife merely for antlers, horns or feathers. Pillar #6 – International Resources – Wildlife and fish migrate freely across boundaries between states, provinces and countries. Working together, the United States and Canada jointly coordinate wildlife and habitat management strategies. The Migratory Bird Treaty Act of 1918 demonstrates this cooperation between countries to protect wildlife. 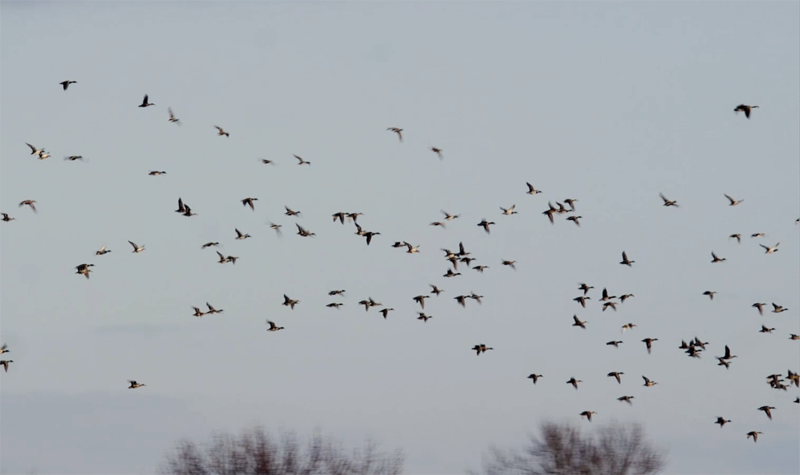 The Act made it illegal to capture or kill migratory birds, except as allowed by specific hunting regulations. Pillar #7 – Scientific Management – Sound science is essential to managing and sustaining North America’s wildlife and habitats. For example, researchers put radio collars on elk to track the animals’ movements to determine where elk give birth and how they react to motor vehicles on forest roads. 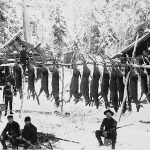 Now that you know about the history of hunting in North America and how the pillars of modern model of wildlife conservation will help the future of wildlife populations, ponder this question for a moment… If you could travel back in time 15,000 years and establish an ethical hunting code for all Paleo hunters, what would that code say? Now ponder what creatures might still roam the American landscape. 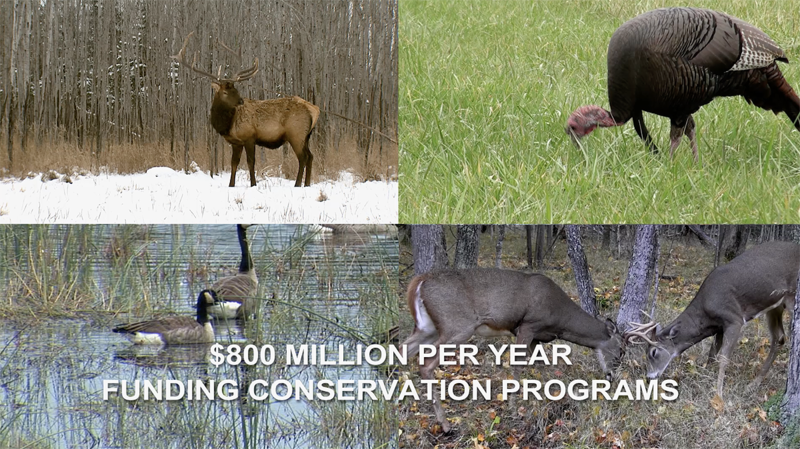 • Over half of the Federal Department of Fish and Wildlife is funded by hunting. 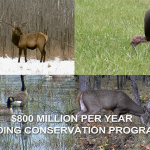 • An 11 percent tax on guns, ammo, bows and arrows generates $371 million a year for conservation. • In 1907, only 41,000 elk remained in North America. Thanks to the money and hard work invested by hunters to restore and conserve habitat, today there are more than 1 million. • In 1900, only 500,000 whitetails remained. 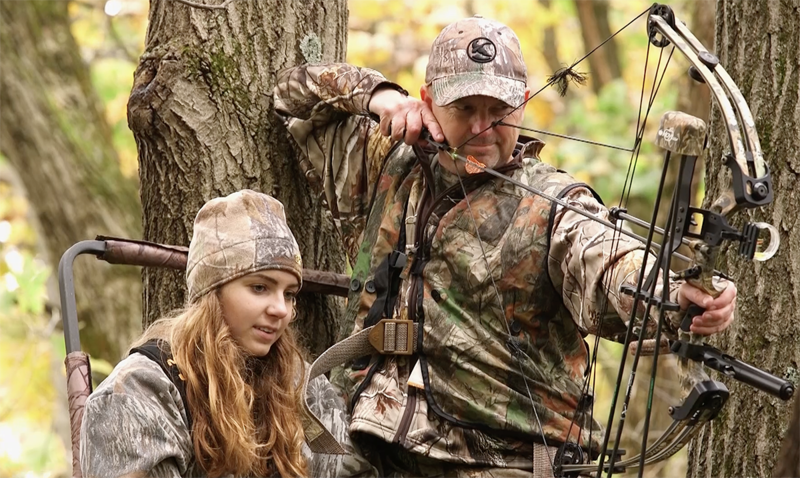 Thanks to conservation work spearheaded by hunters, today there are more than 32 million. • In 1900, only 100,000 wild turkeys remained. Thanks to hunters, today there are over 7 million. • In 1950, only 12,000 pronghorn remained. Thanks to hunters, today there are more than 1.1 million. • In 1901, few ducks remained. 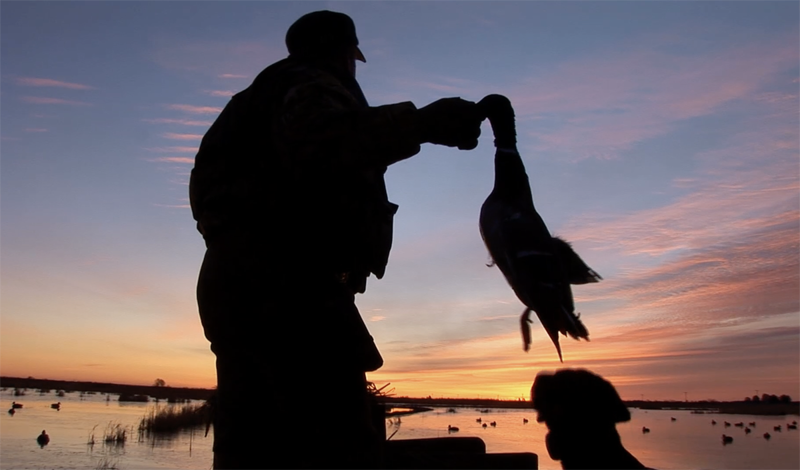 Thanks to hunters’ efforts to restore and conserve wetlands, today there are more than 44 million.